Save SAR 69 (77.53%) – Earn 2 Shukrans What is Shukran? Shukran is the Landmark Group’s award-winning loyalty programme in the Middle East, which allows you to earn Shukrans when you shop any of our brands. 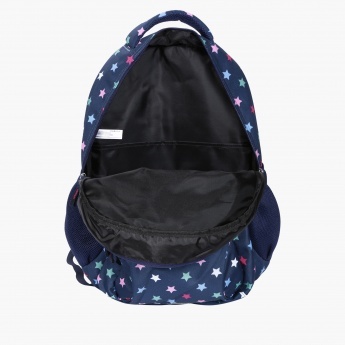 Your little one is sure to adore this little backpack with a star print. 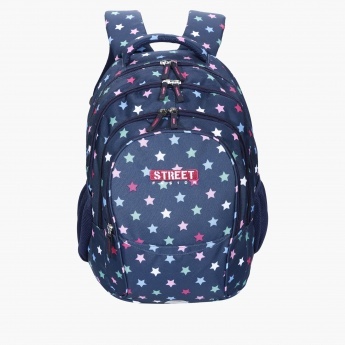 Featuring multiple compartments and two side pockets, this piece will help your kid organise the belongings in a stylish way. The soft shoulder straps and backside will keep your kid comfortable while on the go.